Mr Harris talked about the next battleground for identity theft and data stolen is on your smartphone and how criminals are exploiting the back door into your phone to get your data. As Australians rely on smartphones to go about their personal and professional transactions, data stored on those devices is the new gold. What many people don’t realise is that mobile phones can be penetrated through the NFC technology which is constantly on and emitting a signal. All it takes is for malicious code to be injected through the NFC feature on a smartphone and a hacker pushing out malicious RFID signal to a phone by the RFID chip, to get hold of passwords, photographs, and other personal information. 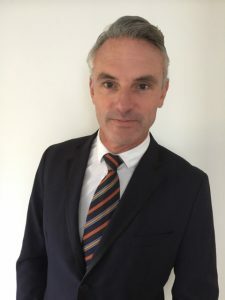 Tyler Harris the CEO of Armourcard was interviewed for comments by Duncan Hughes the highly respected journalist from the Australian Financial Review on Identity theft and whats coming our way. 2016 sees a 47% increase in scams reported in Australia costing close to $300 million. The Australian Competition and Consumer Commission’s (ACCC) annual report released today states a marked increase in scams since 2015. Some 200,000 reports have been compiled from ACCC’s ScamWatch, Australian Cybercrime Online Reporting Network (ACCORN). Australians over 55 accounted for 45% of the reports to ScamWatch. Investment scams (totally $59 mil) and dating and romance scams ($42 Million) featured high on the list with social media platforms often being the launch pad for these scams. As consumers you need to be aware and go in with open eyes, these scammers are clever and clearly pray on the vulnerable ( just by amount given to dating and romance scams) so if someone you may have become friends with on say Facebook or a dating site starts to ask you for money your alarm bells should be ringing loud and clear… run run away fast. Report it. Don’t fall for this. The other interesting thing to watch out for is online store scams, a good rule of thumb is if the deal is to good to pass up compared to the genuine price of the goods then its properly is a scam 9 times out of 10. The product properly doesn’t even exist as the store is just front to rip you off. Before you purchase anything do some research on the business, look for ratings or reviews about the store. If you do purchase Only pay using secure payment methods such as Paypal or a credit card which often cover the fraud unto a certain amount. The best defence against scams is education and awareness. Consumers concerned about scams should visit www.scamwatch.gov.au to keep up to date with scams to look out for, report scam activity, and get information about what to do if they become a scam victim. 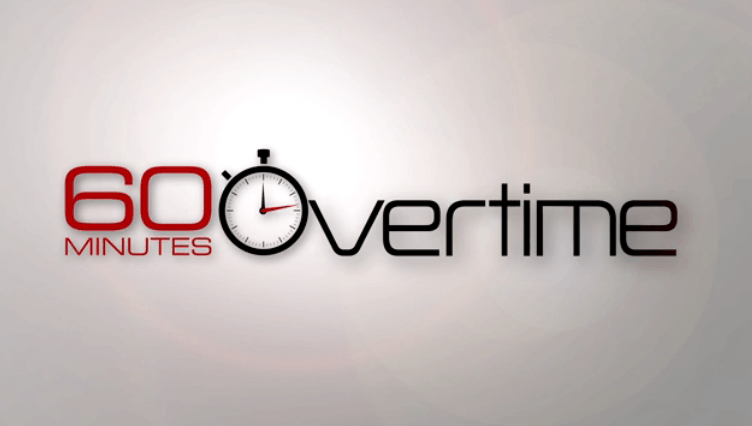 60 Minutes USA recently did a great story on how criminals are able to hack into your smartphone by walking near you. The story covered a few interesting developments. We at Armourcard were already across from the NFC exploitation of the android platform by contactless malicious code injection to trojans being hidden in free apps like games that you or children download. The malicious code injection or a hidden trojan can reap havoc by telling your cell phone to do something remotely. For example, with a little bit of malicious code injected via the NFC feature on your smartphone and with a walk-by from a criminal pushing out the malicious RFID signal to your phone via the NFC / RFID chip, the hack can tell your phone that next time you’re in a wifi zone to open up a browser in the background to a malicious URL that fools your phone to ‘update or backup’ to the cloud. All your data from that smartphone is gone in an instant to “the cloud”(a hackers server). Every ounce of data has a price and all these pieces are carved up by what is now known as a digital ‘chop shop’ and sold off. Everything from emails, SMS, passwords, credit card info, geo-location data. And what is most alarming is that your photos and photos of your family and kids can be sold and resurface on unsavory websites. 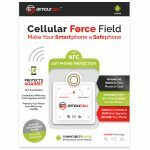 This new wave of crime which is starting to become more prevalent and is the reason we developed our latest product called Armourcell. It uses the same micro-jamming technology we developed for Armourcard and applies it to the NFC chip in your smartphone, effectively we close the backdoor to your cell phone by jamming the NFC signal until you want to use it. Given that this crime was most recently covered by 60 Minutes USA who ran two separate stories on hacking your smartphone just goes to shows that this crime is becoming mainstream today. 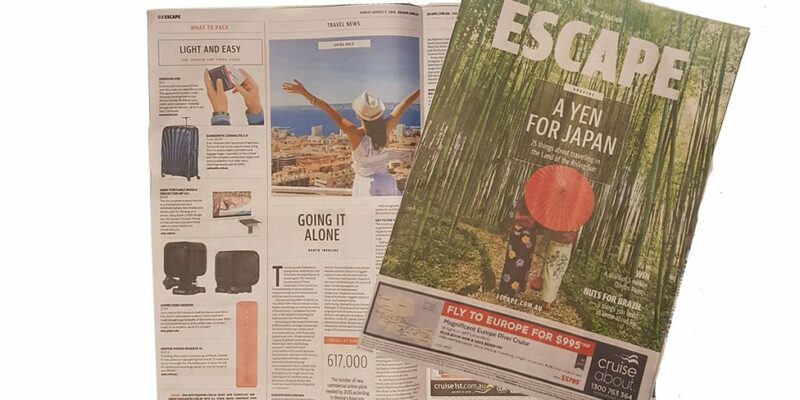 Armourcard has again been featured in the News Limited national Sunday papers across Australia in there travel lift out magazine ‘Escape’ in the travel essentials area ‘What to Pack’ on the 7 August 2016. It is a testament to our product offering as being not only the first to produce a Active RFID Micro Jammer in the world but to only offer the most superior protection from this type of invisible crime across a broad spectrum of products from Tap & Go credit cards, ePassports to hotel keys, travel passes and building entry keys that work on the global standard frequency for contact-less devices of 13.56Mhz. We are a proud Australian company who have invented and patented this technology to help protect your personal information from being skimmed and used often without you ever knowing when or where it happened to you. You can purchase your Armourcard from our online store or find a local retailer stocking Armourcard near you. Make sure when you next travel, you travel with the superior protection that only Armourcard can provide. Stay safe and be vigilant in protecting your data. 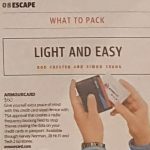 After the US launch of Armourcard at CES 2016 in Las Vegas Nevada earlier this month, it seems we have made quiet an impression with the media and in particular tech writers. Another year, another CES, brimming with start-ups and household names alike, looking to become the next big tech trend. But who will come out victorious? In the third of a six-part series, we give our verdict on the most awe-inspiring hopefuls of the New Year in the Safety & Security category. CES in Las Vegas is a haven of game-changing companies and products – not least in the safety & security sector. Throughout 2015 we saw hundreds of headlines that both highlighted vulnerabilities and emphasised the need for viable solutions – from cyber security to child safety. From over 500 impressive companies exhibiting at CES from 6-8 January, we have identified a list of 10 to keep an eye on in 2016, as they look to revolutionise the safety & security industry as we know it. At Armourcard we are so thrilled to be included on such a prestigious list. It’s fantastic to see that we have made an impression at the worlds largest Consumer Electronic Show, it is a testament to all the hard work both the Australian and our US associates have put in to get us to the show. 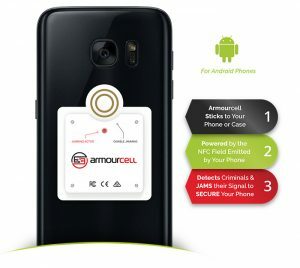 The feedback, retail opportunities from launching Armourcard and the new soon to be released Armourcell product on the global stage has really been exciting. The year ahead is already shaping up to be very busy, with the heightened interest in both our products generated from our launch at CES we are already in talks with some exciting potential retail opportunities both in the US and abroad off the back of the show. With the dust barley settling after Consumer Electronic Show in Las Vegas we thought it might be a good time to share some of the media and attention Armourcard got for the US launch and iTProTV is the first off the rank. CES2016 was the US launch of Armourcard and we generated a lot of interest in our jamming technology. 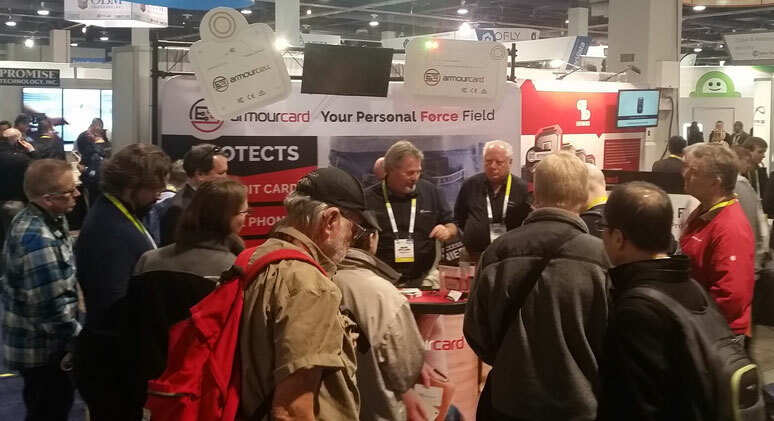 The stand often had 20 people crowded around watching the demonstration and how Armourcard offers the most superior active electronic protection on the market today. iTProTv’s host Don Pezet approached us for a live on-air stream interview on the first day of the show. Here is one of our Founders Tyler Harris explaining a little bit about the skimming problem and how Armourcard’s active jamming solution is the ‘end game’ for your protection. There is no better protection than electronically jamming the communication link these devices talk over, that is what Armourcard does. Armourcard is the only RFID protective product certified by Federal Communication Commission (FCC), we had to be as we emit a signal and that signal is jamming the frequency 13.56Mhz which is the most common frequency contactless devices like credit cards, ePassports, building entry cards & NFC phones use to communicate over. Thanks Don and all the iTProTv team for stopping by and featuring us on your great Technology TV show. On Friday 21st August 2015, one of Armourcard’s Directors Tyler Harris was asked to be a guest speaker on SKY NEWS MONEY the Money Exchange show with Andrew Barnett. Electronic Pick Pocketing. What is it and how to avoid it? 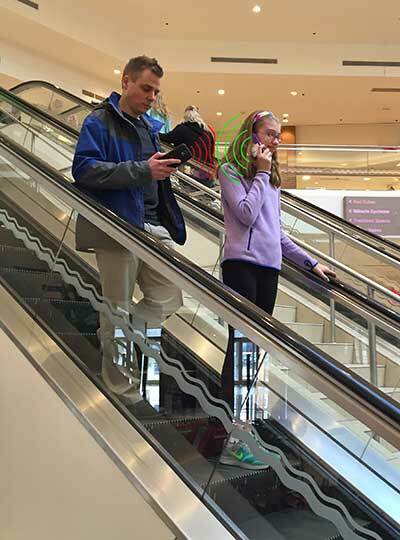 What is electronic pick pocketing and how prevalent is it? So when they scan my details what do they get and how can they use it? Its not just about credit cards and fiscal loss off a card, the bigger picture is profiling you for identity theft. And as more of this type of technology comes into our lives we must start to protect ourselves from exploitation of the very same technology found in these tap & go credits and ePassports. Watch the SKY NEWS Money Exchange segment above, the interview starts at 2:47 in the video. Short video demonstration of Armourcards jamming technology in action. We tackled the skimming issue differently, Armourcard is the 1st product to offer active protection, what that means is Armourcard will instantly power up when someone tries to skim your credit cards or ePassports and it will emit a jamming signal that electronically jams the frequency these credit cards & passport communicate over (13.56MHz). It does not matter if a criminal boosts the power of a reader or amps up the antenna strength as it can not penetrate the jamming of this frequency? (13.56MHz) that Armourcard puts out. So if you’re wanting superior protection from wireless skimming then Armourcard is for you. Watch how easy it is to protect your credit cards in this video demonstration.